According to Bill Hannon, a senior technical marketing engineer at Intel works with sports franchises and equipment makers, these technologies might not only help us understand the real impact of head injuries more quickly and accurately, they could be used to preventative tools that indicate how an athlete can improve fundamentals during practice. He sees video becoming more prevalent in the coaching process, and considers it’ an example of how data is helping during games and in practices. Sports tech systems and products are becoming cheap enough to be used more broadly, and Hannon points to how tablets are used by the Portland Trailblazers during games, practices and when the team travels. He said that these technologies will become affordable enough for use by coaches of younger players and kids. Using all of this data generated by sensor devices, it could be possible to analyze a wide swath of athletes to find health trends and best practices that could be shared broadly, said Hannon. Imagine if a middle-aged lifetime athlete could provide data to his physician that showed everything he had been subjected to throughout his athletic career. Imagine knowing every significant hit a pro player has sustained all the way back to when they were 12 years old. Hannon said that soon we could have medical imaging of each player, which would help provide more accurate predictions or assessments of brain trauma caused by a hit. Medical imaging is being used to model and extract big data to show how a person’s brain is shaped. By having the athlete’s own brain image, coaches and team doctors can see what happens to the brain from a certain hit and at a particular angle, said Hannon. A virtual brain shows where shockwaves are absorbed displays its stress points. If a player gets hit, in nearly real-time researchers can tell what part of the brain will suffer the most trauma and the types of symptoms that will likely occur. “This could help coaches, trainers and teammates to watch for signs of trauma during a game or practice,” Hannon said. Notre Dame developed a diagnostic tool for tablets that uses voice recognition to check for traumatic brain injuries. Notre Dame Students and faculty have teamed up and developed a tablet-based testing system that captures the voice of an individual and analyzes the speech for signs of a potential concussion anytime, anywhere, in real time. With the help of the Notre Dame Medical Team, boxing team tests were conducted where the athlete speaks into the tablet and the speech is analyzed for acoustic features. The impact on pitch and the fundamental frequencies in the voice are recorded as a first line of defense. Should testing feedback indicate a possible concussion, the athlete is referred to medical experts. This tool has been used as a ring or sideline detection device. The innovative new i1 Biometrics Impact Intelligence System is a complete solution to the growing epidemic of undiagnosed Sports Brain Injuries. They can measure the location and level of each hit an athlete has absorbed and create a real-time assessment of the athlete’s exposure to impacts sustained on the field. The i1 Biometrics scientists in Seattle have pioneered a proprietary collection of advanced accelerometer and gyroscope technology embedded on a microscopic circuit board within each one of their innovative mouthguards. The Seattle-based company X2 Biosystems, has a mission to prevent head injuries by monitoring the impact of hits in real time using built-in sensors. 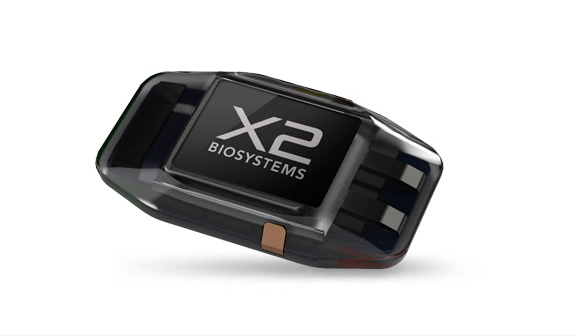 Beginning in 2010, X2 Biosystems began recording impacts and has more than 250,000 registered blows across a variety of sports. They invented a high-tech mouth guard called the X Guard together with Microsoft. After a high impact is measured, an alert is wirelessly transmitted to the team trainer or doctor on the sideline. The protocol calls for the player to be tested with the X2 mobile application. This product has allowed sideline personnel to accurately diagnose concussions immediately following an injury (about 6-8 minutes after a hit). 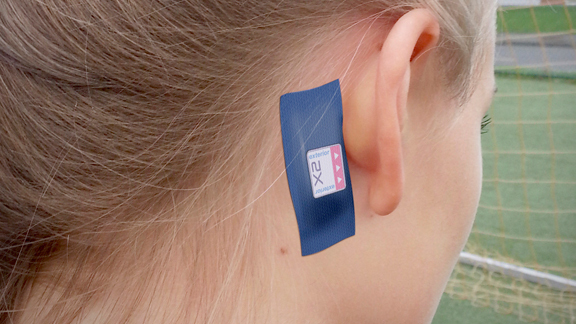 New this season is a behind the ear, X Patch, that weighs less than two grams and is the size of a quarter. Mimicking the X Guard, the X Patch is able to actually calculate the amount of impact, notifying coaches, trainers and team doctors in real time when they should be concerned about a player. The football teams at the University of Washington and University of Michigan are using the X Patch in practices and games. So are the lacrosse, soccer and football teams at Stanford University. All 32 NFL Teams will adopt X2 ICE Concussion Management Software for 2013-14 Season. The New York Giants recently implemented the EMR (electronic medical record) system. It shares medical records with team doctors from the Hospital for Special Surgery and Hackensack University Medical Center. League-wide use was only available for 8 teams this past season, while all 32 teams will implement a league-wide EMR system next season. At the core of this move to EMR is Massachusetts-based eClinicalWorks, a medical company with history in ambulatory healthcare IT solutions, with more than 470,000 healthcare providers nationally using their solutions. In the near future, researchers and companies will explore how players might use this never before measured brain injury data for their long-term benefit, especially with health related needs throughout their career and life. New wearable tech and the resulting Big Data, is a trend powered by sports technology companies who are ‘in it to win it’ over brain injuries and concussions. Robert Roble founded Sports Techie, a sports technology community, blog and expert resource in 2010 after a once-in-a-lifetime role as Wetpaint’s Moderator. He moderated the New York Giants, Houston Rockets and HBO Entourage historical wiki and online communities, in addition to writing blogs for DWTS and MSN. Bob is a pioneer in sports tech, an untapped market valued at $200 billion. His career in sports and tech spans four decades, where he’s worked for Paul Allen and the Seattle Seahawks, Magic and Dartfish. The Sports Techie social media network is global and passionate about green, robots and animals. Engage with his blog, friend@SportsTechieNET on Twitter and Like the Facebook fan page; also follow on Google+,YouTube and LinkedIn. He is happy for the opportunity to focus his iQ by Intel eye on innovative sports technology related content, trends and products that involve Intel’s tech, people and happy customers. Sports Techie, I am thankful to Intel and the iQ team for the opportunity to learn more about how sports technology is being used to prevent head injuries. Since this article was published, Rich Able, Co Founder and CMO at X2 Biosystems, reached out to me here in Seattle via LinkedIn. 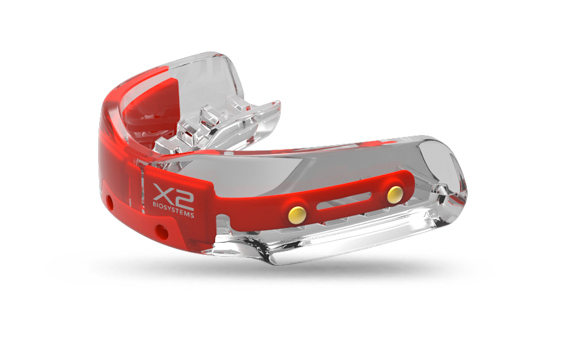 We spoke briefly about the X2 and I learned they no longer are in the mouthguard business, they only offer the X-Patch. I reached out to Notre Dame and i1 Biometrics but have not heard back yet. Tech is most likely never going to prevent head injuries in sport and activity however it is good knowing that these sports technology companies and researchers are making a difference with detection, sideline protocol and treatment. The data generated by these devices and systems are invaluable tools towards identifying and treating concussions, TBI and CTE. Remember, football is not the only sport with head injuries. The right hit to the head is all it takes. Once you have had one, you are susceptible to further concussions so be sure to see a doctor and let your brain heal before resuming normal activities.